In 1963 Whelen began researching strobe light technology in order to introduce affordable, reliable and highly effective strobe products to the light aircraft industry and then to the automotive market. Today, Whelen is a leader in aviation, automotive, and mass notification lighting and warning signals. Whelen is the only US manufacturer of emergency warning equipment to still manufacture its products entirely in the United States. The use of robotics and a motivated workforce allow it to compete with off-shore products. In addition to their support of Michael Goulian and Goulian Aerosports, Whelen Engineering is also a major supporter of auto racing through their involvement with NASCAR and IMSA programs. As the world’s largest provider of new aviation parts and related aftermarket services, Aviall markets and distributes products for more than 240 manufacturers and offers approximately 2,000,000 catalog items from 40 customer service centers located in North America, Europe, and Asia-Pacific. Aviall provides maintenance for aviation batteries, wheels and brakes, as well as hose assembly, kitting and paint-mixing services. The origins of Aviall date back to 1932, when Edward “Doc” Booth, an aviation enthusiast and Army Air Corps veteran, opened an aircraft sales and service company in Dallas, Texas. 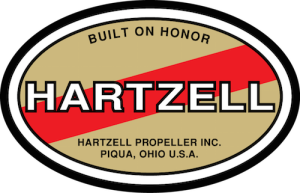 Although the company underwent several ownership and name changes and expanded into the sale of parts and supplies, the dedication to service and innovation never wavered. For instance, the owner of one of the companies that merged to form today’s Aviall was G. B. Van Dusen, who delivered spark plugs personally in an old Stinson aircraft back in the early 40s. In the late 40s, the company began selling parts to commercial airlines, something unique to the industry, and during the Korean War the company was one of the first to win a contract to overhaul engines for the Air Force. The company continued adding products and services and incorporating other companies, and it became Aviall in 1981. Known and trusted for its dedication to quality and outstanding service, Aviall has continued to expand across the globe and was acquired by The Boeing Company in September of 2006. A century ago, Goodyear built the first aircraft tire. It was just the beginning of greater things to come. Goodyear would be the first tire company to invent an aircraft tire testing machine to help produce consistently high quality tires. It was also the first to develop aircraft tire retreads and radial aircraft tires. Our overall vision for the future is reflected in the goals we’ve set for our Aviation Division. From experimental aircraft to military flight operations and spacecraft, this industry is growing and changing at an unbelievable pace. In order to meet the new demands of our customers, we have committed our resources to stay on the leading edge of technology. We’ve been making aircraft tires that perform and keep performing under the most stringent demands. With over 3,000,000 landings in our testing department, that ongoing commitment to quality has made Goodyear the world’s leading supplier of aircraft tires. Our aircraft tires are the first choice of pilots, fleet managers and technicians worldwide. So when you choose Goodyear aviation products, you’re not only getting what we believe are the best products available, you’re getting a commitment to service that extends above and beyond the life of your tires. BOSE has created the most advanced active noise reducing headsets specifically with pilots in mind. They’re engineered to neutralize the distractions and stress of cockpit engine roar. For the A20 Aviation Headset, they’ve improved noise reduction and made a more comfortable fit. All this without compromising the clear audio you expect—and need—to focus on flying. BOSE is based in Framingham, MA. Lycoming produces the most complete line of horizontally opposed, air-cooled, four-six-and eight-cylinder aircraft engines available, with power ranging from 100 to 400 HP. Carbureted or fuel injected, normally aspirated or turbocharged – with a reputation for reaching or exceeding TBO – Lycoming piston engines are the engine of choice for both the home builder and the major airframe manufacturer. From the Robinson R-22 helicopter to the powerful Piper Malibu Mirage, Lycoming piston engines currently power more than half the world’s general aviation fleet. You have more choices with Lycoming aerobatic engines. If you want FAA certification, Lycoming is the only manufacturer of certified aerobatic piston engines in the world. If you want to push the envelope on performance, Lycoming offers the Thunderbolt Series non-certified engines and other custom-built engines through the Advanced Technology Center. For decades, Champion-brand products have brought power to flight, incorporating breakthrough technology and innovative product developments. Throughout the years, the famous Champion-brand bow tie has represented a worldwide symbol for superiority in product ingenuity and service integrity. In 1987, Champion acquired Livingston Industries, a highly respected supplier of leads and exciters to the OEM market; and, in 1988, opened a massive state-of-the-art facility in Liberty, South Carolina. Its division headquarters moved from Ohio to Greenville, South Carolina, only one year later. In the 1990s, Champion undertook and completed a $10 million expansion project at its Liberty facility; earned ISO 9001 certification; pioneered the first turbine igniter and lead for multiple engine platforms; and introduced its PPT-Powered™ dual-redundant exciters, the new standard in solid-state exciters. Champion now manufactures and markets a broad range of Champion-brand-name igniters, exciters, and leads for turbine engines, as well as spark plugs, oil filters, and ignition harnesses for reciprocating engines. In addition Champion Aerospace provides power supplies to the aviation industry in standard and custom configurations. Garmin’s products span the automotive, aviation, sports & recreation, marine and health & wellness industries. They strive to build products that become an essential part of people’s lives. Goulian Aerosports is proud to be partnered with Garmin’s Aviation division which has the most comprehensive lineup of avionics upgrades in the industry, all the while providing industry-leading capabilities and increasing situational awareness, enhanced decision-making and safety like never before. Our Extra 330SC and Edge 540 aircraft are both equipped with Garmin’s G3X Touch flight display, built and designed specifically for experimental and amateur built aircraft. BERINGER makes wheels and braking systems for a wide range of aircraft, from light aircraft up to its now-standard STC for the Pilatus PC-6, plus complete kits for many popular aircraft, that include everything for a bolt-on conversion. These innovations are covered by many patents and have allowed BERINGER brakes to take a decisive technological lead. Airflow Performance Inc. (API) was the innovation of Don Rivera and began in 1984 in Jacksonville, FL. API was started with Don’s knowledge and the Airflow Fuel Injection System (AFIS) was created for experimental aircraft, drag boats and off road use. Don is the head guru and has pioneered the research and development of all API product lines. In May of 1987 API relocated to Spartanburg, SC and in June of 2000 API relocated adjacent to the Spartanburg Downtown Airport. API is proud to offer runway access to its clientele. Through a dedicated team effort, API is able to make a better system at a more reasonable price so that it is affordable for experimental aircraft builders. For more than 20 years, CJ Aviation, Inc. a family owned and operated FAA (Federal Aviation Administration) and EASA (European Aviation Safety Agency) approved repair station has been providing superior service. CJ Aviation has grown through the years primarily by customer referrals and their presence at trade shows. Conveniently located near the Kendall-Tamiami Executive Airport in Kendall, Florida, CJ Aviation has trained mechanics providing superior overhauls that keep Dukes and Weldon pumps in great working order. CJ Aviation, Inc. provides customers with custom application aviation fuel pumps and other services with quick turnaround times and affordable rates; their rates never include AOG charges. With their excellent service and proven work, the EASA and FAA approved company guarantees customer satisfaction.